The early 1970s wasn't a good time to be a new car. The late 60s models were faster, better looking, and less complex in general, but there were a few cars that kept it cool into the mid 70s. 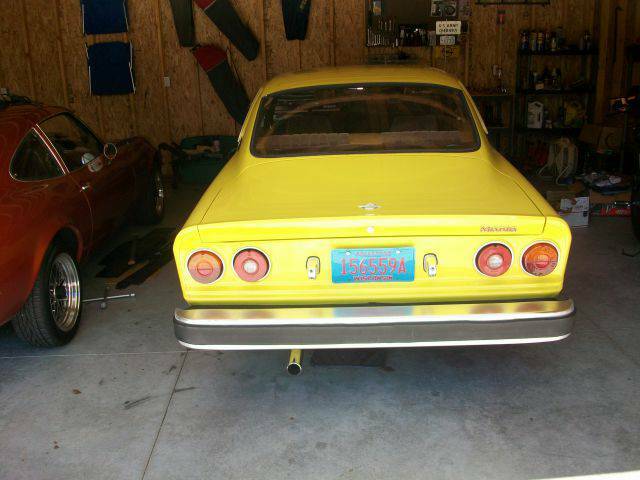 Included in this rare bunch is something called the Opel Manta that was built in Germany by GM. 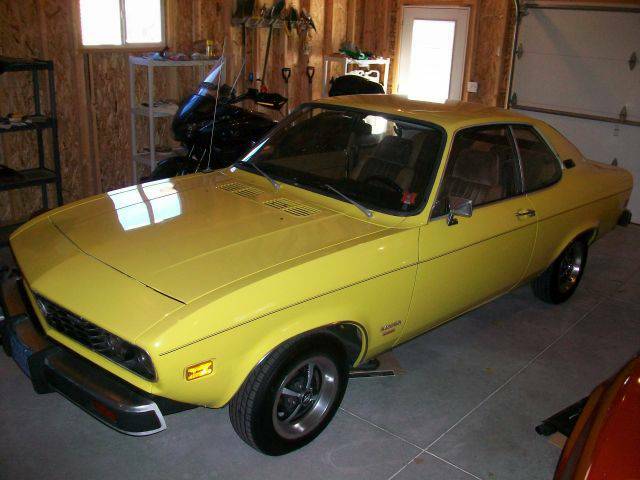 Find this 1974 Opel Manta offered for $7,200 in Neshkoro, WI via craigslist. Tip from Rock On! Well maintained Opel Manta in very good condition - new tires and rear shocks Fall 2016, new cloth and vinyl seats professionally done, GM 105 amp alternator, Hot Spark ignition, rallye gauges and tach, newer exhaust. Comes with extra windshield, new windshield rubber and other extras. 4 speed transmission. 1.9 liter 4 cylinder engine was rebuilt in 1998 at 63K by a mechanic for a previous owner. Too many toys, too little space so this one must go! Looks like a fun car in desperate need of some euro bumpers. Decent Manta A's are becoming as rare as hen's teeth. Finding one that is ready to drive with minor tweaks for $6-6500 would be a great deal for both buyer and seller. If I'm not mistaken, that's an Opel GT next to it, which means the owner's been around the block with Opels and may be a good resource for future parts needs. It has the gauge package from a Rallye, but has the steering wheel and shifter from a Luxus and seats that are re-done like a Luxus. After ditching the swim deck bumpers, there isn't much to do except clean up the tailpipe and maybe paint the hood flat black. These are fun to drive, but will be humiliated in a race with even the most pedestrian modern econo-box. The fun comes later, after you've sourced a GM/Rover V8 to replace the 1.9L.